Hush - Coin Illustration on Pixelated Background. イラスト素材: Hush - Coin Illustration on Pixelated Background. Hush Crypto Currency. 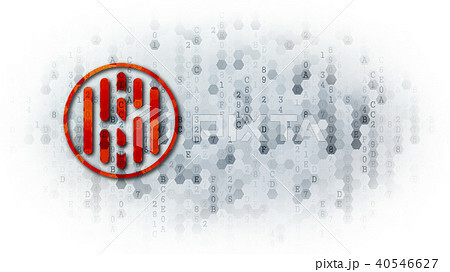 Yellow Graphic Symbol on the Light-colored Digital Background with Empty Copyspace for Text.